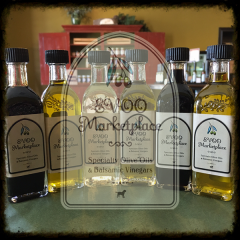 Designed by our expert mixologists, our Oil and Vinegar Sampler packs take the guesswork out of choosing the perfect Oil and Vinegar pairings. 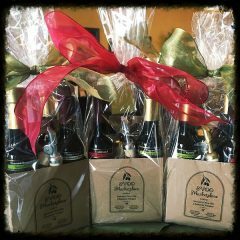 Each Oil and Vinegar six pack consists of three 2.0oz bottles of Olive Oil, three 2.0oz bottles of Balsamic Vinegar. 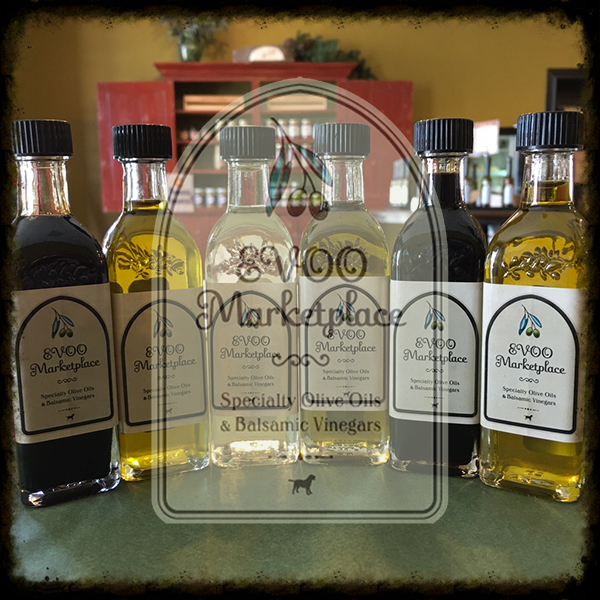 Our EVOO “B” Oil and Vinegar Sampler consists of one 2.0oz bottle of Strawberry Dark Balsamic, one 2.0oz bottle of Persian Lime Olive Oil, one 2.0oz bottle Milanese Gremolata Olive Oil, one 2.0oz bottle Cascadian White Raspberry Balsamic, one 2.0oz bottle Black Cherry Dark Balsamic, and one 2.0oz bottle of Baklouti Green Chili Olive Oil. Drizzle over cheese, ice-cream, yogurt, fruits, oatmeal, drinks.. Combine two parts Olive Oil with one part Balsamic. Whisk together and serve. To emulsify dab in a small amount of Dijon mustard or light mayo and continue whisking. Oil and Vinegar will become creamy in appearance. Refrigerate remaining amount for up to three days. Combine equal parts Balsamic with equal parts Olive Oil. We recommend preparing just enough to cover the protein. Place in zip-lock bag and squeeze out air. Place in refrigerator for at least six hours. NOTE: For Fish and Seafood (proteins from the water) we recommend rubbing the Olive Oil into the raw protein in the absence of the balsamic vinegar for approximately 30 minutes. We DO NOT recommend using balsamic during this step as the acidity from the balsamic will break down the delicate protein. 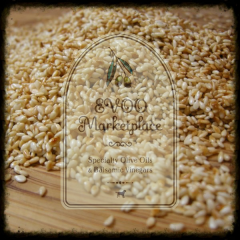 Instead, drizzle Oil and Vinegar over the finished product. Our true aged Italian balsamics are naturally reduced through the aging process and without the addition of thickening agents such as high fructose corn syrup or molasses. If you desire a thicker balsamic to use as a glaze or reduction then simply heat two times the amount needed in a small saucepan over medium to medium-high heat with constant stirring. As the balsamic starts to reduce it will pull to the sides of the pan. Remove reduction from heat just prior to desired thickness, as the balsamic will continue to reduce until cooled. Alternatively, reduce to desired thickness and place reduction in bowl over an ice bath. As a rule of thumb 1/4 cup will reduce to approximately 50% within 3-5 minutes. Reductions or “glazes” can be used as BBQ sauces, finishing glazes, or drizzled over fresh fruits, desserts, ice-cream……..
Don’t be afraid to apply medium to medium-high heat! 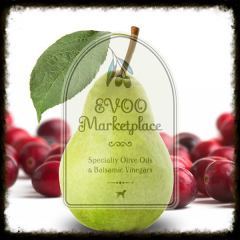 Our Olive Oils are of such high quality with low free fatty acids, and high biophenols that they are perfect for any saute and can tolerate heat up to ~425F. 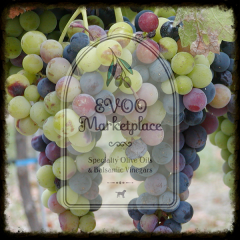 Ingredients: Cooked grape must, Mother (required to commence acetic acid fermentation), naturally occurring sulfites from grapes, all-natural organic flavoring. ALL SUGARS ARE NATURAL FROM THE GRAPES. 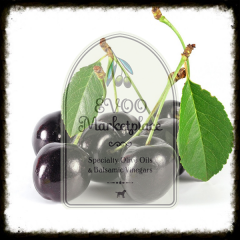 NO ARTIFICIAL FLAVORS, CARAMEL COLORING, SWEETENING OR THICKENING AGENTS! GLUTEN FREE!